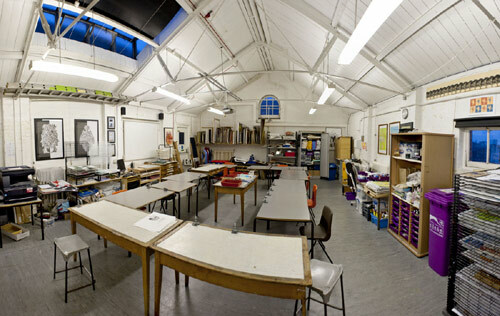 Idea Store Learning screen printing and print making courses take place in our print studio at the Shadwell Centre. 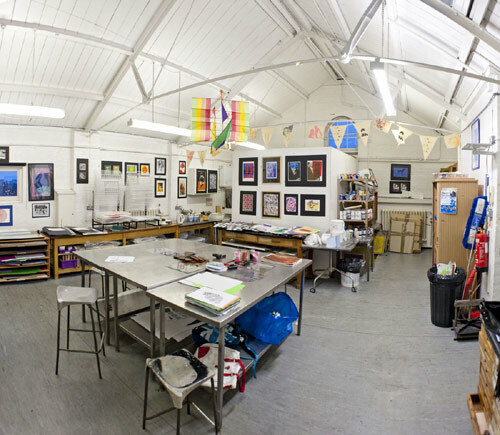 The print studio is a vibrant and exciting atmosphere to work in and is situated on the 3rd floor at the Shadwell Centre. Please note: wheelchair access is not available. Spacious and light studio space. A good range of differently sized screens A3 - A1. A variety of screen meshes for paper and fabric printing. Dark room with exposure units and washout booth. Fabric and paper print tables. Wash out booth in main printing area. Equipment and materials provided for a full range of printing methods including silkscreen, lino, collagraph, and etching.